The opening takes its name from Swiss International Master Henri Grob (1904–1974) who analysed it extensively and played hundreds of correspondence games with it. In Grob's newspaper column analysis of this opening, he referred to it as the Spike Opening, a name which is still used occasionally. Other early references used the name Ahlhausen's Opening, after Carl Ahlhausen (1835–1892) of Berlin, one of the first to play 1.g4. Savielly Tartakower sometimes played this opening in simultaneous exhibitions and called it the Genoa or San Pier D'Arena Opening, after the city and suburb of Genoa where he first used it. In the Czech Republic and Slovakia, 1.g4 is called Fric's Opening, and in other parts of the world it is called Kolibri's Opening. It is considered an irregular opening, so it is classified under the A00 code in the Encyclopaedia of Chess Openings. White has three main plans: to support the g4 pawn with h3; pressure against d5 or on the h1–a8 diagonal, preventing Black from playing ...Bxg4 (e.g. 1.g4 d5 2.Bg2 Bxg4 3.c4, exploiting the pin against the b7-pawn); or advancing the h-pawn in a kingside attack. The Grob is generally considered inferior and is rarely employed in serious competition. International Master John Watson writes, "As far as I can tell, 1 g4 is competitive with 1 h4 for the honour of being White's worst first move. Against an informed or skilled opponent, it is simply masochistic." The Grob was played in the superfinal of the 12th Top Chess Engine Championship season (April–July 2018). Both finalists, Stockfish and Komodo, evaluated the position after 1.g4 as providing a clear advantage for Black, and both failed to defend the White position. International Master Michael Basman and Grandmaster Spyridon Skembris are advocates of the opening. It has a certain surprise value, and the average player is unlikely to know how to refute it and more likely to get overconfident and make mistakes. Moreover, the lack of theory along this line may negate the repertoire of an experienced opponent. Intuitive play by White can lead Black into dangerous traps. Many of these traps rely on Black's replying with 1...d5, attacking the pawn with his queen's bishop. After 2.Bg2 Bxg4! ?, White has an attack after 3.c4 and eventually Qb3, aiming at the weakened squares d5 and b7, an attack that may well be worth a pawn. Romford Countergambit, after 5.Bxa8 Qxa8 6.f3 d3! Black is not obliged to give White these opportunities. After 1...e5, Black can take aim at the h4-square, left weak by White's pawn advance. 2.Bg2 h5 will force a weakening of White's pawn structure. 2.d3 (intending to answer 2...h5 with 3.g5) or 2.h3 can be answered by 2...Ne7 with the threat of ...Ng6 followed by ...Nf4 or ...Nh4, disrupting White's kingside fianchetto (Martin 2004). Another frequently used setup for White in the Grob is 1.g4, 2.h3, and 3.Bg2. A Black counter-setup might be 1...d5, 2...e5, and 3...c6 (these moves may be played in any order), which, if used in conjunction with an eventual ...e4, negates White's king bishop's influence over the center. A key element of the Grob is deploying the king's bishop on g2 and having it rule the diagonal. In order to further this goal, White must keep the center clear of pawns. This leads to frequent "tearing at the center" with c4 often being White's third move. Due to the unusual pawn structure White attains by playing g4 and c4 so early in the game, there is frequently little advantage to castling. Play often devolves into a wild and wide-open game, with a definitive advantage usually resolving itself in the first 20 moves. In response to Grob's Attack, Black may also play 1...e5. Good responses would be 2.Bg2 (dominating the light-squared center diagonal) or 2.c4, the English Variation, preparing Nc3 to solidify White's control of d5. ^ Benjamin & Schiller (1987), p. 75. ^ John Watson, Mastering the Chess Openings, Volume 4, Gambit Publications, 2010, p. 275. ISBN 978-1-906454-19-7. ^ See the TCEC archive, season 12 superfinal, games 23.1 and 23.2. Basman, Michael (1991). The Killer Grob. Cadogan. ISBN 0-08-037131-0. Bill Wall (1988). Grob's Attack. Chess Enterprises. ISBN 0-931462-86-X. Angus Dunnington (2000). Winning Unorthodox Openings. Everyman Chess. ISBN 978-1-85744-285-4. Eric Schiller (2002). 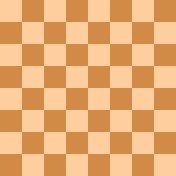 Unorthodox Chess Openings (Second ed.). Cardoza. pp. 201–210. ISBN 1-58042-072-9. Claude Bloodgood (1976). The Tactical Grob. Chess. Archived from the original on 2008-07-01. Retrieved 2008-06-30. Benjamin, Joel; Schiller, Eric (1987). Unorthodox Openings. Macmillan Publishing Company. ISBN 0-02-016590-0. Martin, Andrew (2004). "How To Meet The Polish & Grob". www.jeremysilman.com.